I believe that this was one of the most anticipated movies this year and what better way for me to be able to catch the film itself on opening day with the 9600 boys! There was a lot of hype (much like most of the superhero movies this year) around this movie so with so many Batman comic fanboys, including myself, in the group we were eager to see whether it will live up to the expectation of the movie. 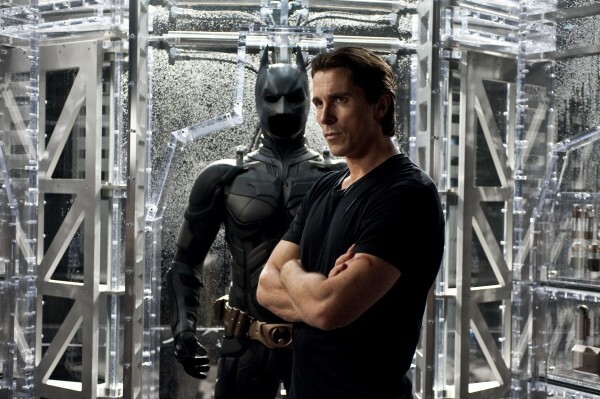 This was supposed to be the final installment of the Nolan based Batman trilogy and there was a lot of expectations as to how this was going to end, simply because that superhero movies have the notorious tendency to continue on as long as the franchise can make money. However we all know Batman goes to a more "darker" storyline so there is room for the story line to go to a more unfamiliar storyline. Plot follows where Batman, a social outcast and branded a murderer in Gotham, is no longer needed by the people in time of peace and his alter ego, Bruce Wayne, still grieving over the loss of the his love. However a rise of criminals lead by the sinister Bane terrorizes Gotham city with the notion of eradicating the root of social corruption and returning the civilization into its original chaos and anarchy. With no one to turn to and their caped hero no longer in sight, Gotham City puts their hope on Batman recovering to his former self or end up as another casualty of a revolution based on clouded justice. Overall, there was some mixed reaction among the boys and the only reason is because of the storyline not really following the comic books itself. However we all can agree that the production and even the plot created was fantastic throughout the movie. If you are like me, who is a comic geek with extensive comic book knowledge, there will be a lot of questions posed after the movie. Before we get to that, this is what I think and rate of the movie. Would I watch it again? : With the right people I might, just to discuss the fine details of the comic book/movie cross over. Movie or DVD worthy? : Definitely movie worthy. The sound effects would do you justice for that decision. Plot : Although it was a little bit draggy at first (which a lot would agree), the development of the twist was fantastic. Because it divides itself from the comics, it was even a surprise for Batman comic book fans as well. Heads up, wait for the "holy sh*t" moment. Star Power : We all know that this was going to be a star studded cast and I believe that got people to their seats. However they didn't have someone as enigmatic as Heath Ledger to play the baddie role but the general ensemble of the cast was great. Once again, all eyes to Selina Kyle in a cat suit. Miao. In conclusion, I would implore you guys to watch this movie, especially those that watched the first two before. I believe that the franchise will continue, considering the ending and the success rate of the movie has gone which is a big plus to a lot of us fans out here. So, here the thing, if you have watched the movie, what are the "plot loopholes" or areas in the storyline that you don't understand? Perhaps some discussion here would help you bring some answers either from myself or the readers here. I would love to see some discussion going on here. Bring on the geek discussion people! But what the heck, just enjoy the movie! I havn't seen the movie yet. But if its that good, I'll rate the same on IMDB.